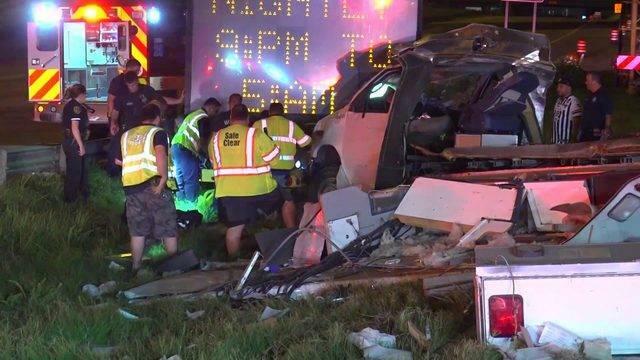 A stolen ambulance got involved in a crash in southeast Houston. A woman was found pinned under said vehicle following the accident. Debris from the crash could be seen scattered along the road and forced the closing of the exit ramp. Emergency crews found the woman pinned underneath the ambulance when they arrived to respond to the situation. The woman was brought to a hospital. Her condition is yet to be determined at this point. Investigators said the ambulance was stolen from Ben Taub Hospital in the Medical Center and found on the Gulf Freeway at I-610. It is not clear yet if the woman is the person responsible for stealing the ambulance. It is also not clear what exactly caused the crash. The crash is still under investigation. No other injuries involving other people were reported.